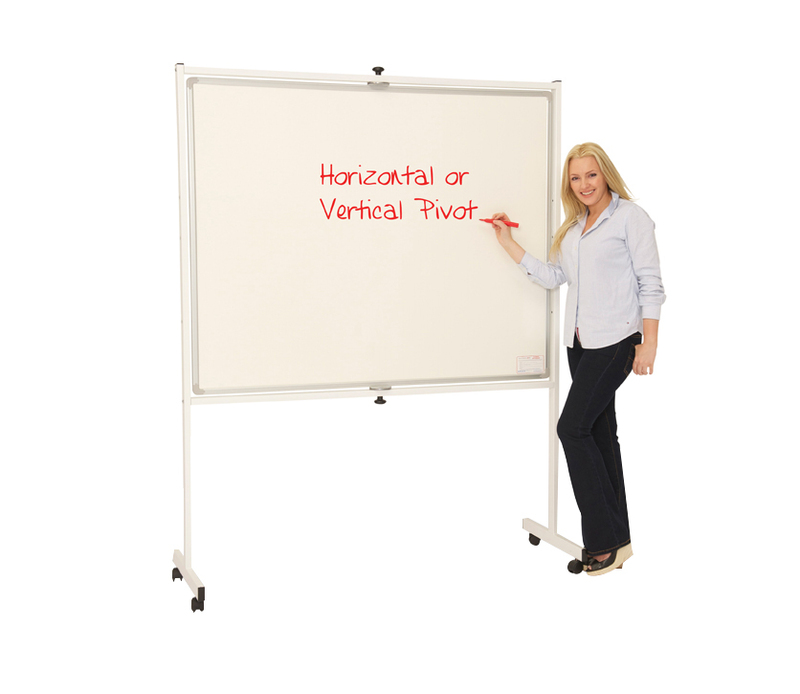 This double sided whiteboard pivots in the centre of the board and can rotate 360° and will lock into any position. 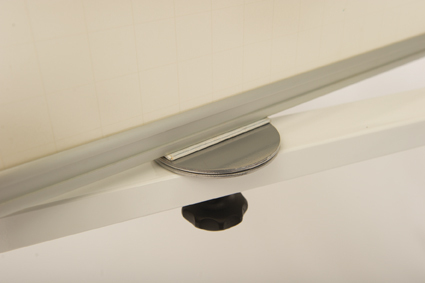 It is available in 5 sizes and with 2 writing surfaces - magnetic and non-magnetic - plain on both sides. The stand is on wheels so it is easy to move and lock into position once in preferred location. Great to use in teaching and presenting situations.